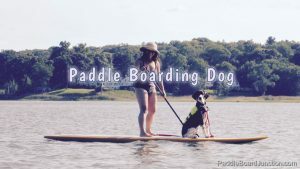 I decided to design a solo paddle boarding trip out into the Long Island Sound. My wife and I frequently visit Hammonasset State park which sits comfortably on the south shore of Connecticut. 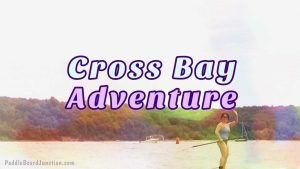 We’ve done plenty of paddling and swimming there but have never really ventured too far out or too far from our launch area. Today was different. There was an island off the coast the we could just barely make out. I’ll tell you more about this island later. How far could this island be? I was about to find out. With just a water bottle positioned between my feet and a shorty wet suit I was determined to paddle all the way to that island. It was early yet and there were just a few fisherman on the beach doing their thing. I said good morning as I placed my surf tech paddle board into the calm waters. I hopped on and I was off. I didn’t know this at the time. 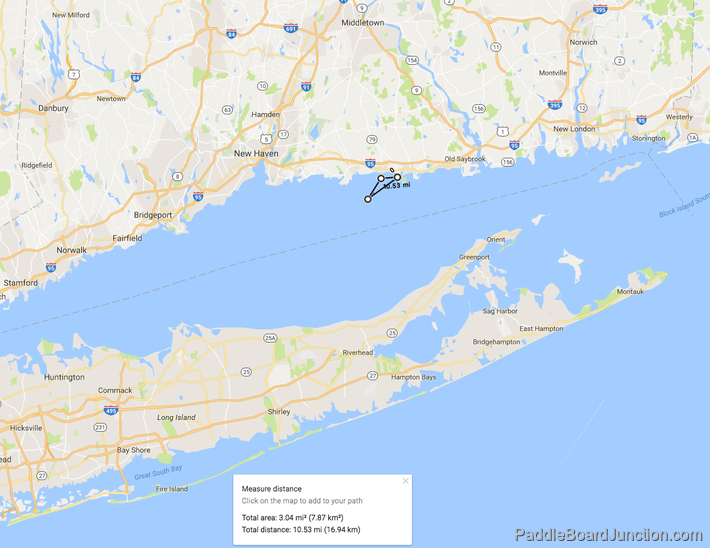 (It’s funny how you can lose track of time out on the water) But, I ended up paddling for close to 2 hours straight out into the Long Island Sound. I was trying to get to that island, but I wouldn’t do it. I was getting tired and I had travelled so far already. It was weird being alone, that far out. In retrospect and by looking at map afterwards I made it to within about 1 mile of the island. 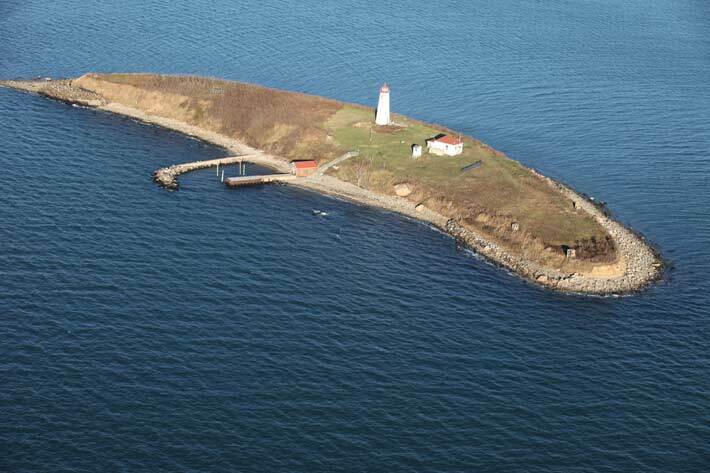 It turns out that the island is Faulkner’s Island and holds Connecticut’s 2nd oldest light house. I decided to paddle straight back to shore just to get closer to some main body of land. 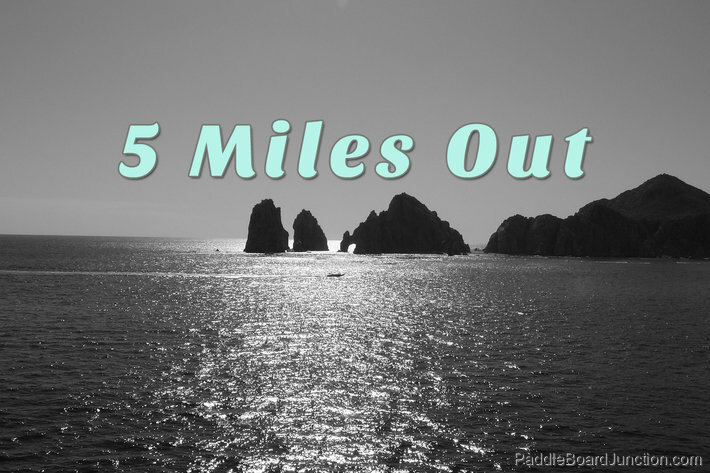 When I got within about a mile of the land I would paddle diagonally back to my launch site. I had started the day wearing a 2/3mm shorty wetsuit but I got really hot wearing it. It was sunny, there was hardly any wind I had been paddling like a madman for hours. On the way back I pealed that wetsuit down to my waist. I also took a few swims while I was out there. But to be honest, swimming all alone when you’re 5 miles out to sea is a bit scary. I probably watched one too many shark movies or something. I never did make it to Faulkner Island that day but I realized was it meant to have “sea legs”. 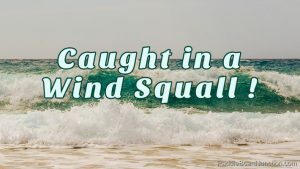 Because I spent close to 4 ½ hours on the water with almost no reference to land I was disoriented when I got back to shore. I felt a slight dizziness and just an overall weird feeling. It almost felt as if I was moving sideways when I wasn’t. The drive home was interesting to say the least. My sea legs took a couple of hours to dissipate. After I was home and after a hot shower and a tasty lunch I hopped on my computer. 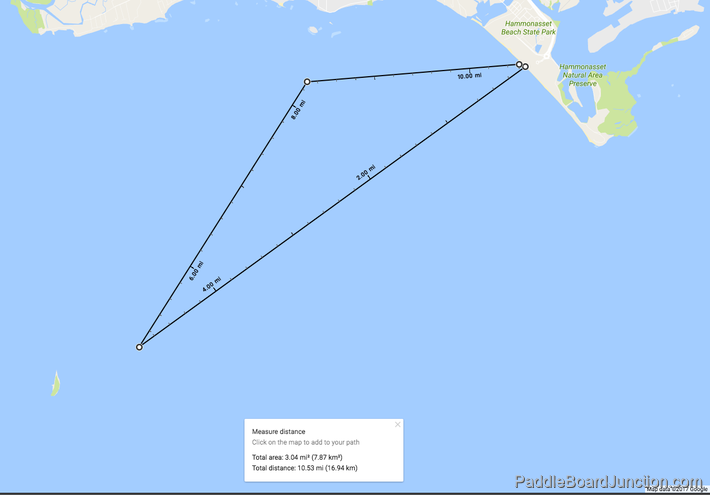 I wanted to see if I could determine where and how far my paddle boarding route was today. Using google maps was able to plot out my route across the sea and back. If you right click while using google maps you can choose “measure distance”. This allows you to calculate any distance travelled. Of course it’s meant for roads but you can use it on the water too if you pick some landmarks. The results were in and it looked like today was the paddle of a lifetime for me. I travelled about 10.5 miles in total. Because I headed back towards the shoreline in a slightly different direction from which my paddle started I made somewhat of a triangular path. The scariest part was just how far out I had paddled. I was about 5 miles out from the Connecticut shoreline. Yikes! No wonder it was so eerie. I want to circle Faulkner’s Island on my SUP. It’s definitely a goal of mine but I need a better plan. Jumping onto my board and just heading towards an island was kinda poor oversight on my part. I didn’t realize that the island is 6 miles away. That’s 6 miles one way out through open water! Using google maps showed this to me. And here’s a zoomed out view of my paddling journey just so you can get a better idea of just how far I ventured out! 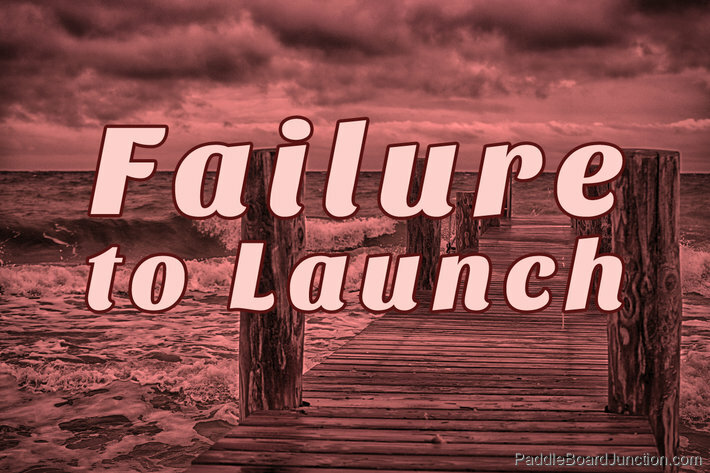 I’ll have to find a better launch site if I attempt a trip to Faulkner’s Island. It looks like there’s a beach in Guilford that is a wee bit shorter distance to the Island. That seems more reasonable. I’ll have to put that route on my radar. Lesson Learned: Plan my trips using a map.